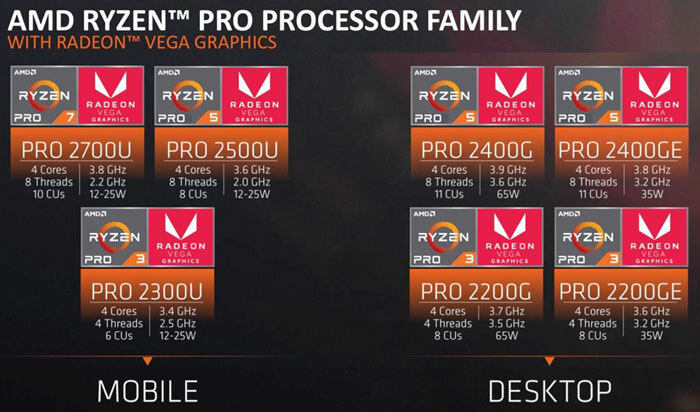 AMD has announced that its latest Ryzen Pro with Radeon Graphics processors are now available in systems from the world's largest OEMs – Dell, HP and Lenovo. 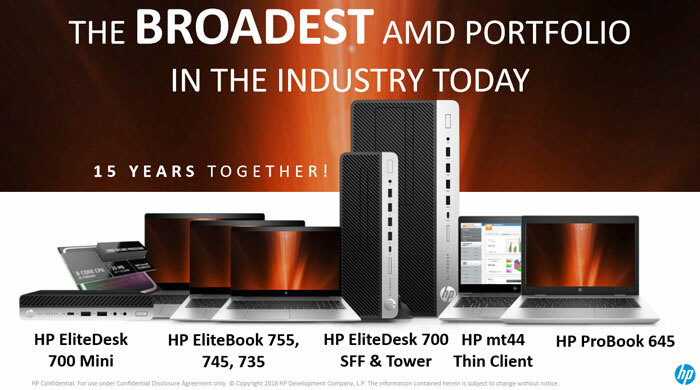 Both desktop and laptop systems will be sold featuring AMD's latest professional-targeted processors as part of the premium Dell Latitude and Optiplex, HP Elite and Pro systems, and Lenovo Think ranges. 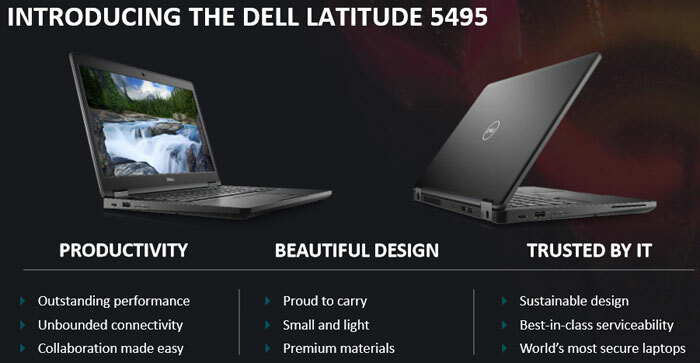 A wide range of business PC form factors is being produced, from sleek enterprise laptops to powerful commercial desktops. As the new AMD Ryzen Pro with Radeon Graphics APUs are designed for enterprise needs they build on the strengths of the Zen CPU architecture and Vega GPU architecture to provide security, reliability and performance. This can help "address the demands of today’s compute-intensive enterprise-focused workloads," says AMD. 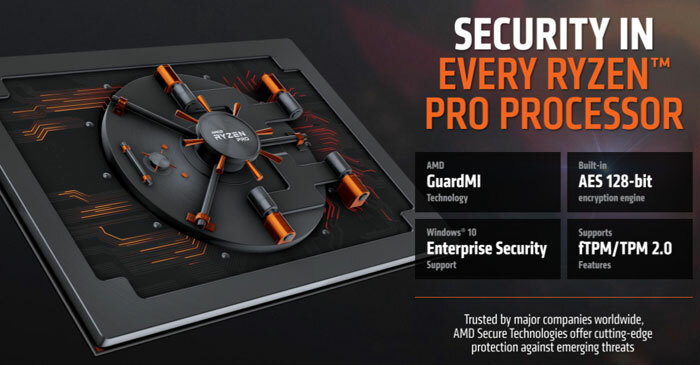 On the topic of security AMD touts its GuardMI technology with "power-on-to-power-off protection". The powerful security co-processor inside every AMD Ryzen Pro CPU implements; secure boot, transparent memory encryption, trusted applications enablement, and the secure production environment. Overall GuardMI's isolated engine will help to minimise the attack vectors of your system. Other attractions of the platform are; rich media capabilities, all day productivity away from the mains, plus capable 3D graphics useful in fields ranging from 3D Cad to medical imaging. 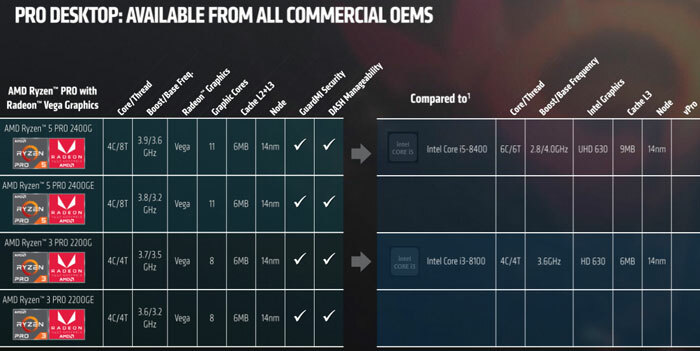 In its press release and the email sent to HEXUS, AMD lists a plethora of systems from Dell, HP, and Lenovo that are now available with AMD Ryzen Pro with Radeon Graphics APUs. 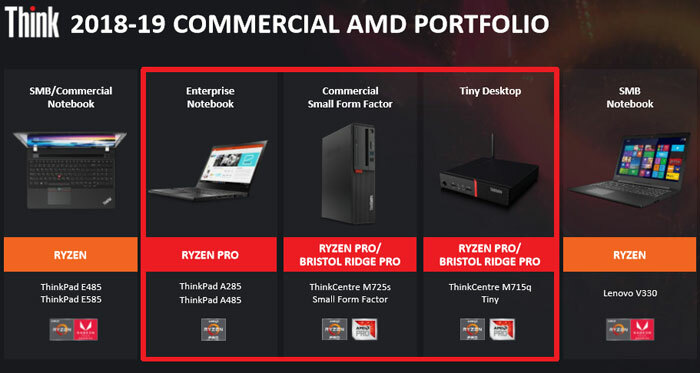 It collects together various testimonials from these vendors who pick out particularly attractive systems based upon the new AMD Ryzen Pro with Radeon Graphics APUs for both desktop and mobile. You can check out the trio of vendor slides below. 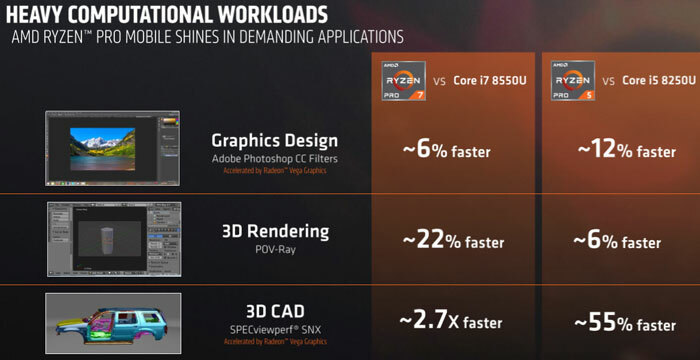 Please note that these Ryzen Pro desktop and mobile APUs appear to be based upon first-generation 14nm FinFET Ryzen. I have always been a fan of AMD's APU's. when it comes out as a laptop.